A Dermalogica facial is so much more than a great way to relax. Contact our therapist today! FREE Face Mapping with our Dermalogica Skin Therapist. Facial includes Face Mapping, exfoliation and skin analysis. Facial includes treatment mask, pressure point massage, exfoliation and skin analysis. Facial includes recovery mask, pressure point massage, exfoliation and skin analysis. "I’ve been using Dermalogica now for two years and I love the products. If I have any concerns I simply book a Mico Zone Facial with my skin therapist Kelly and she knows exactly what to do, she prescribes me with products to help when my skin when it’s bad and it doesn’t take long for the products to start working. My skin has never been so good since changing to Dermalogica. #love it!" 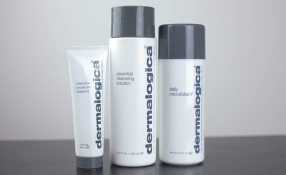 "Dermalogica products are by far the best products on the market. They have products to suite all skin types and as your skin changes you can adopt new products in your new daily skin care regime. My skin has been crystal clear since using Dermalogica and I will forever continue to use there products. I always look forward to my monthly facial with Kelly as she is so passionate about skin, Highly recommend her!" Our Dermalogica consultant will use Face Mapping to analyse your skins needs, and help you to understand the most effective way to maintain a healthy, glowing complexion. 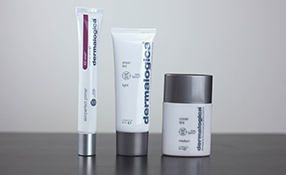 Dermalogica skin care products are at the heart of the facials we offer at Fusion. Whether you opt for a micro-zone 30 minute treatment or a full hour prescriptive facial, your Dermalogica facial is tailor-made just for you, whatever your skin type. Each facial includes a FacemappingTM experience and a skin analysis that reviews the 14 zones of your face, for expert skincare results to target any concerns you have. Meet our Skin Therapist and start caring for your skin today. Why is Face Mapping recommended when purchasing Dermalogica products? 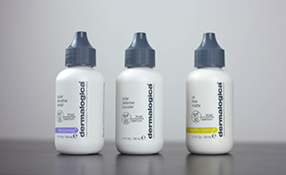 Dermalogica products are designed to be most effective when prescribed by a Dermalogica professional skin therapist extensively trained in Face Mapping and skin analysis. Your skin is analysed zone by zone, to diagnose your skin condition and prescribe you the suitable products to deliver results. How soon will I start seeing results from Dermalogica products? Some people see results the first time they use the products, and everyone tells us that their skin feels different straight away. The skin feels, clean, smooth, hydrated, and reflects a new level of health that is visibly noticeable. 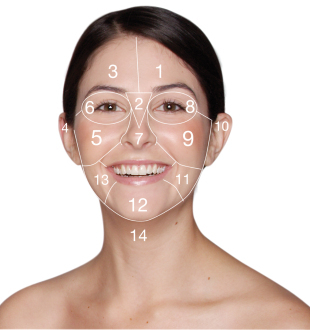 If the skin has more advanced long-term needs, such as treatment of skin ageing, acne or hyper-pigmentation caused by hormonal fluctuations or sun damage, results may not be immediately visible; however, skin health will continue to improve as you follow the advice of your professional skin therapist, your Face Mapping® zone-by-zone prescription and your home care regimen. Skin is a living part of your body (your largest organ, in fact), that defends against environmental assaults and extreme temperatures. It helps eliminate toxins from the body. It heals from cuts, abrasions and scratches like a champ. It’s continually renewing and protecting. Simply put, skin keeps the bad stuff out and the good stuff in. Your skin needs personal attention from a professional – and that professional is a Dermalogica professional skin therapist. Start living your healthiest skin!